In the 60s, bored housewives (now called "stay at home moms") traveled from one house to the next, pitching lipstick and perfume. 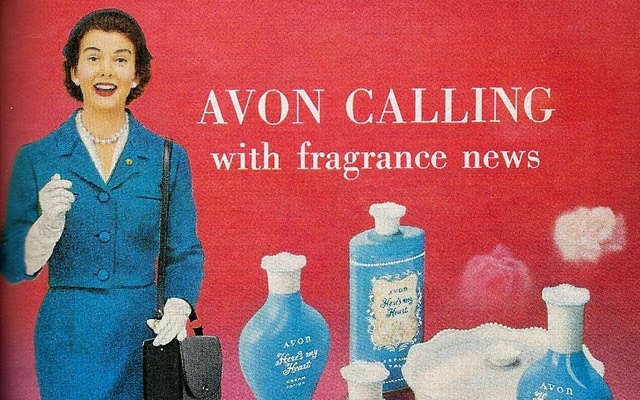 These items, made by Avon Products, were sold successfully by enterprising women who helped the company become the fifth-largest cosmetics company in the world. It's no surprise that Tupperware parties soon followed, pioneering the "direct marketing" concept, as women learned that their friends were a great source of income. Decades of PartyLite, Pampered Chef, jewelry, lingerie, makeup, aromas, and other direct marketing parties ensued, leading record numbers of people to grow exhausted with the people they once called "friends." Today, nobody has time to spend a Friday evening listening to a sales pitch about the benefits of scrapbooking. But these women continue, both through social media and blogs. In fact, an entire generation of women are currently using their blogs to promote a variety of products, often for financial compensation. But is this a lucrative business? A Facebook friend recently promoted her latest blog through her Facebook page, but it was entirely about some new MLM she's involved in. I quickly scanned the blog and realized it was all sales pitch, no substance. I then clicked away. If she hadn't been an online friend, I wouldn't have even gotten that far. I applaud enterprising individuals who successfully mine their real-life and online friends for funds. But with more than half of all Mary Kay consultants making less than $100 in commissions each year, I have to wonder if all of this hard work ever really pays off? If it doesn't, why do people keep doing it? Isn't there an easy way to make money?